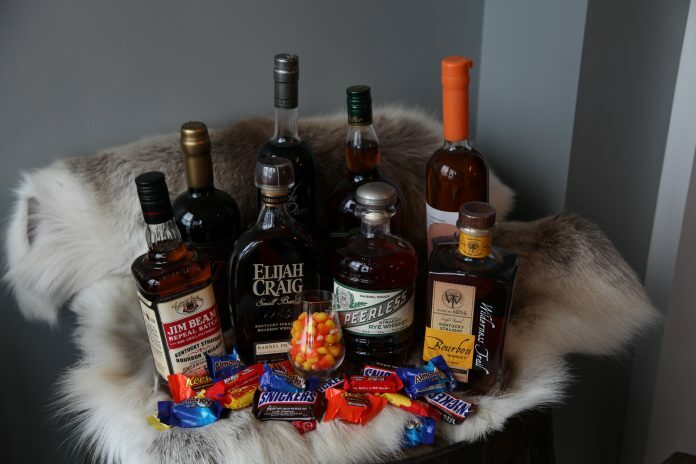 Bourbon lovers don’t usually need a reason to have a pour from their favorite bottles, but we’re not one to let a holiday like Halloween go by without some special candy-centric celebration. 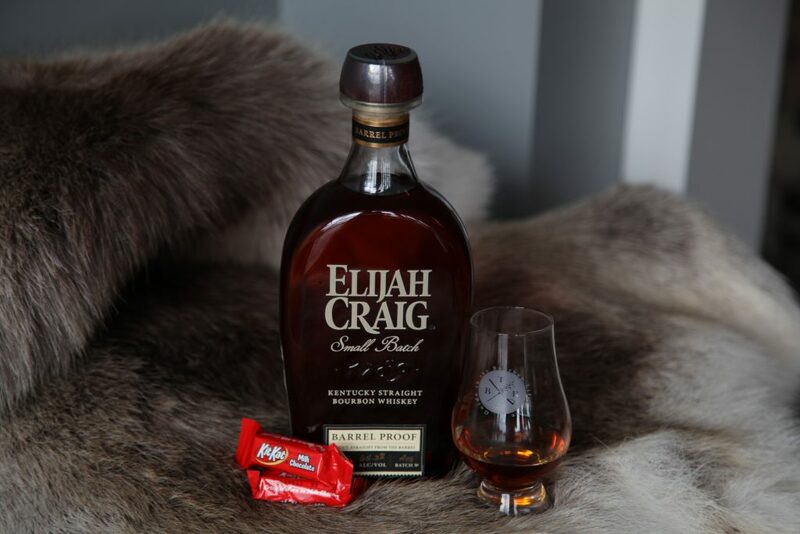 This week, I enlisted the help of Shea Davidson, dog mom and Bourbon Review Associate Editor, to help me with another pairing of our favorite things: bourbon and Halloween candy. Bourbon’s natural sweetness comes from corn and caramelized wood sugars, but we recommend adding a bite of processed sugars (stolen from your children’s trick or treat bags? We’re not here to judge) to really bring out the flavor. Here are our favorite picks of the year to help guide you. Don’t mind us though–we’re just here for the boos! As we discovered last year, peanut butter cups are really, really hard to pair with whiskey. 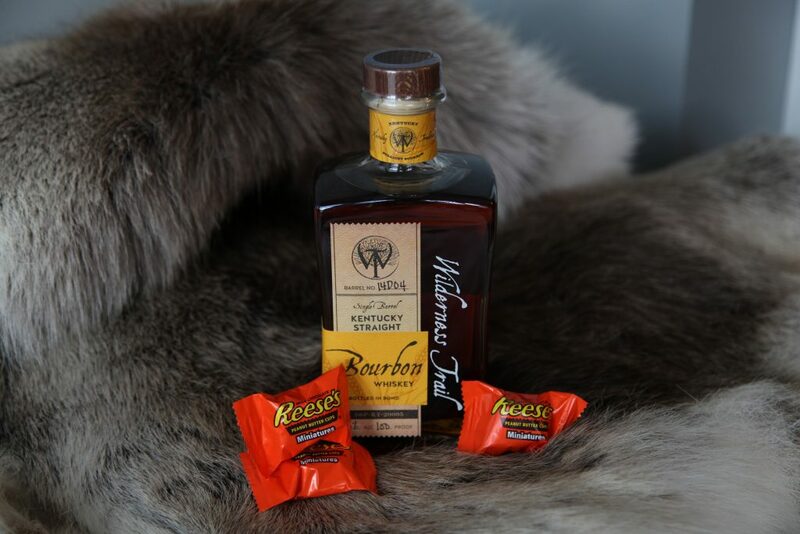 Both of us put them at the top of our trick or treat wish list by themselves, but while the chocolate and peanut butter match perfectly with each other, its hard to find a bourbon to complete the trio. Wilderness Trail’s 4-year-old, 100 proof whiskey was the only one to do the job. It had enough coating mouth feel and heat to balance the oily peanut butter, enough vanilla to blend with the chocolate, and it came through with a clean finish we loved. 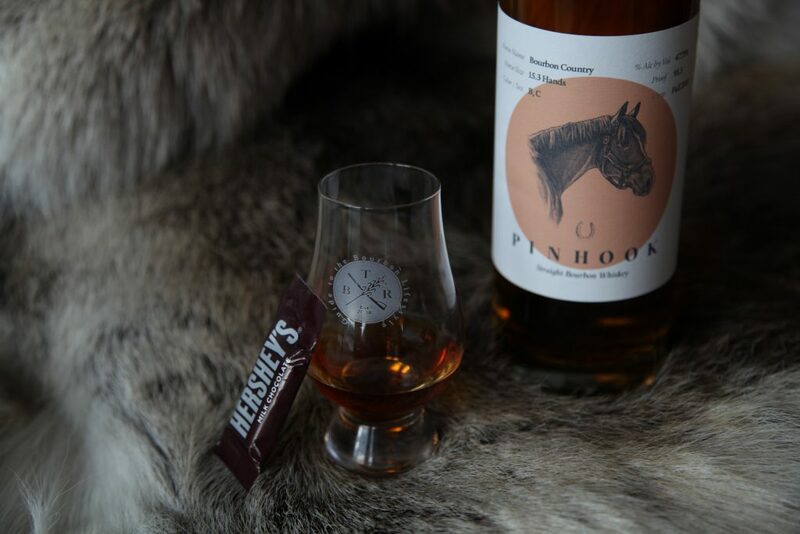 Pinhook’s latest 3-year-old release is a balanced and mild drinker, with fruity sweetness on the front end. It paired well with a few treats we tried, but nothing paired with a classic Hershey bar till this orange-wax bottling. While we have a few chocolate bars on the list, they all have an added nut or fruit to make finding strong flavors easier. Hershey’s milk chocolate matched the mild, refined and elegant vibe of this bourbon, and added a hint of buttery smoothness to round it out. While the nose on this James E. Pepper finished rye is smoky and rich, its sherry-cask finish adds notes of red stone fruit on the palate, which combines perfectly with the chewy cherry candies. This is one you have to try to believe: while cherry and fruity notes are common in whiskey, having them highlighted like this is a whole new world. 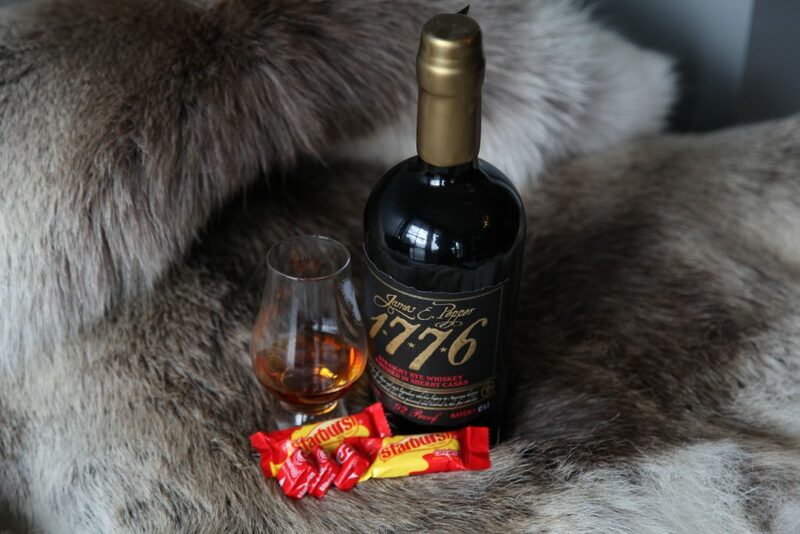 As far as we’re concerned, this is the pairing for the bourbon drinker without a sweet tooth. Barrel Proof Elijah Craig had a few pairings fall flat for us: anything too sugary clashed, while anything fruity just didn’t show up next to the 133.4 proof bourbon. But the delicate sweetness of the milk chocolate Kit Kat paired nicely without getting lost, and added a bit of velvet to the mouthfeel of this high octane whiskey. Buffalo Trace Distillery’s wheated recipe is one of the most popular on shelves these days; everything from Pappy Van Winkle 23-Year down to Weller Special Reserve is getting tricky to find. 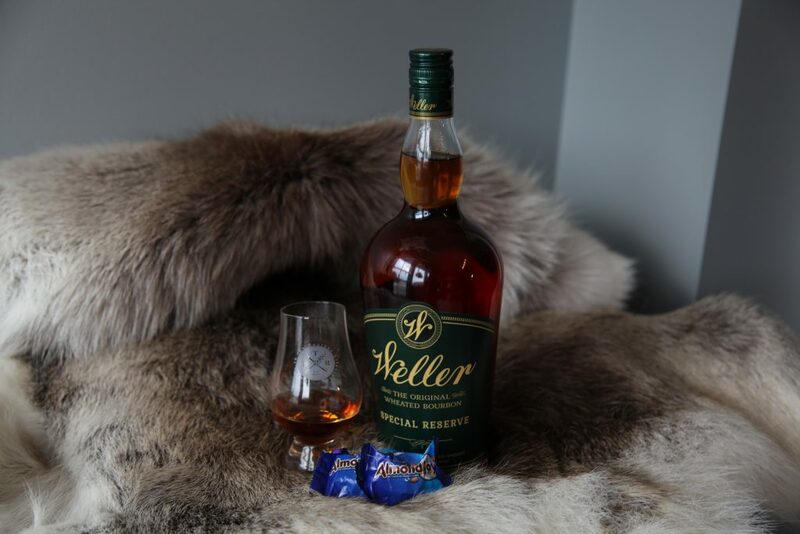 That characteristic softness is why Almond Joy stole the show; coconut and almonds shine while Weller Special Reserve backs up the gooey goodness with a hint of honey and soft wood. While this new release from Jim Beam only clocks in at 86 proof, it is deceptively flavorful and, because it’s non-chill filtered, drinks like a much higher proof whiskey. We kept it vintage with this pairing, as the Repeal Batch recipe is intended to mimic Jim Beam from the mid-thirties. 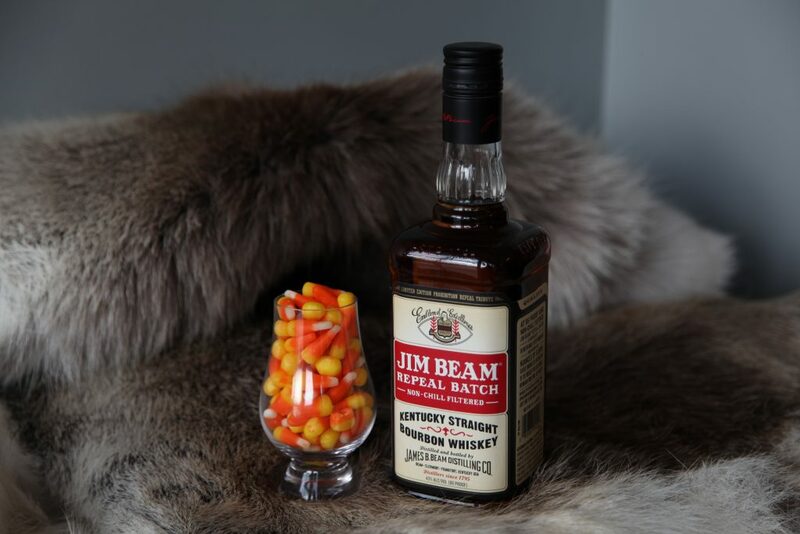 That creates a rich mouthfeel that pairs neatly with the creamy, marshmallow goodness of the classic candy corn (an all-American Halloween favorite for almost 130 years, Shea!). This was a favorite pairing of ours because they matched so well; we couldn’t tell where one began and the other ended. 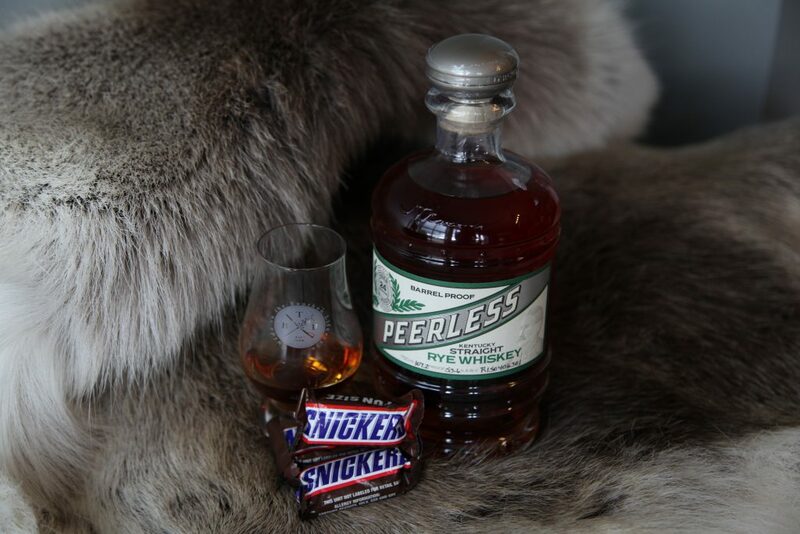 Caramely, brown sugary goodness came strongly with every sip, while the spicy rye character of Peerless kept things crisp. Peerless Rye is barrel proof, and we worried that we wouldn’t find something we could taste next to a whiskey that bold without adding water. Snickers did the job and more, amplifying all the best notes of an already delicious bottle. We added Laffy Taffy to our candy haul as an experiment–not expecting much from grape but thinking that strawberry might have some interesting notes to work with. Turns out strawberry Laffy Taffy tastes like cough syrup, but the banana was lighter and easier to pair than we expected. 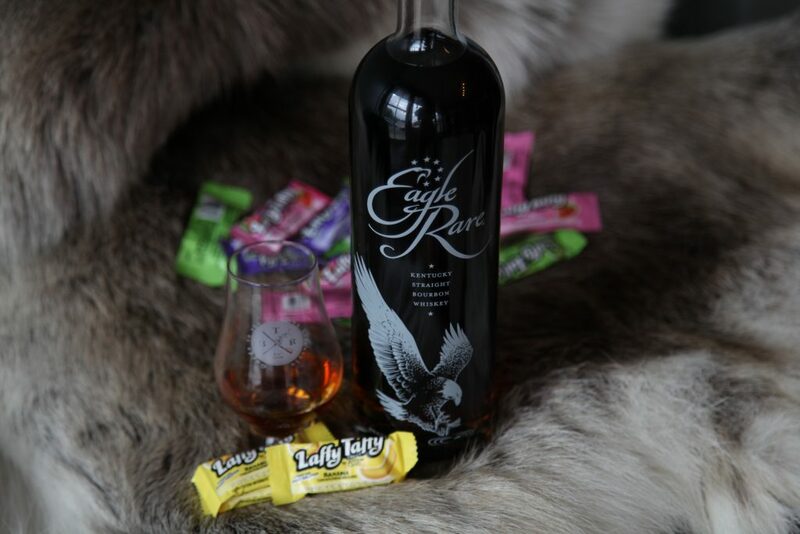 Eagle Rare has light citrus on the nose that matches the fruitiness of the taffy, and neither overpowers the other. 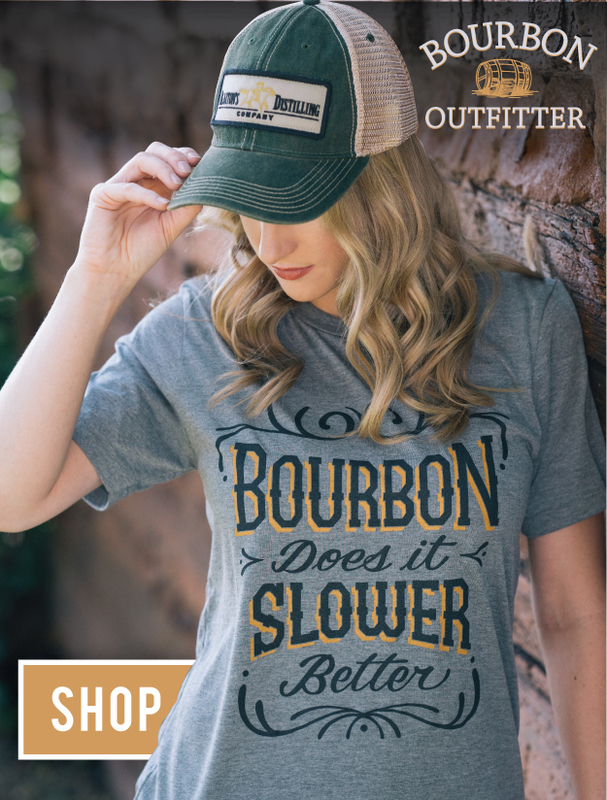 Take a bite of the taffy first: by the time you’re finished chewing, your whole palate will be coated and ready for a sip of good, clean bourbon.